No Card Details, No Cash Payments, No Commitments !!. You will Gonna L♥ve it. Try it for Free !! Complete society data will go live in a single click. 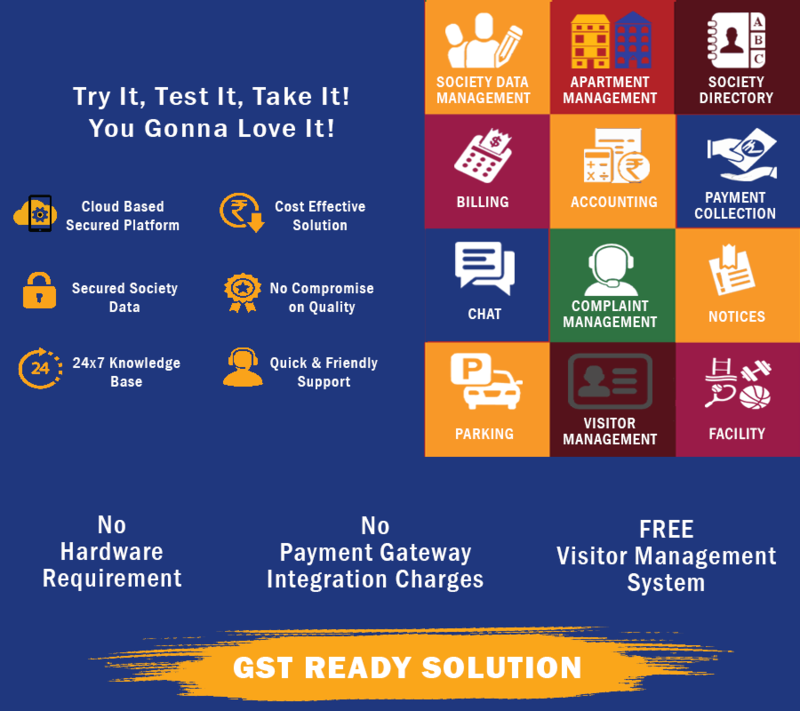 Gateway to managing Owners, Tenants, Vehicles, Income, Expenses, Late Payment from one place. Publish notices, conduct polls, create chat groups of common interest and connect with Neighbourhood Societies. Automated Journal and Ledger Entries. Quick Action Center for Recurring Transactions. Digital Solution to manage your apartment visitors with easy to use, clean and automated interface.